"Maintaining an Independent Judiciary in Face of Political Challenges"
Former Chief Justice of the Supreme Court of Pakistan Tassaduq Jillani shared his views on how the judicial system in Pakistan has established its independence from the other branches of government. Following his presentation, the Honorable M. Margaret McKeown of the United States Court of Appeals for the Ninth Circuit provided a comparative perspective and discuss the current challenges facing the U.S. courts. Justice Tassaduq Jillani is the 21st Chief Justice of the Supreme Court of Pakistan (2013-14). He began practicing law at the district court level in 1974 and has since established a reputation as an independent and balanced judge, being a proponent of the separation of powers in government and an advocate for the rule of law in democratization. He was appointed judge of the Lahore High Court in 1994 and remained so until 2004, when he joined the Supreme Court of Pakistan. 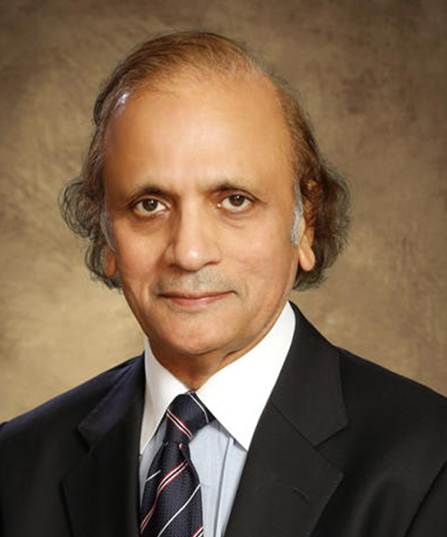 Justice Jillani also served as advocate general of Punjab, a member of the Punjab Bar Council and general secretary of the District Bar Association Multan. In addition, he was formerly co-chair of the Working Party on Mediation in family international law by the Hague Conference. As a fellow, Justice Jillani shared with UC San Diego students and faculty his stance on how the judicial system in Pakistan has established its independence from other branches of government. He was joined by the Honorable M. Margaret McKeown of the U.S. Court of Appeals for the Ninth Circuit. While in San Diego, Justice Jillani connected with law students in an event at the University of San Diego, visited the U.S.-Mexico border and met with judges from the San Diego Superior Court and the U.S. Court of Appeals.